Blending the old with the new, Nenagh Golf Club’s regulation Par 72 Patrick Merrigan designed layout offers a wonderful array of golfing holes over 6,009 metres - ten Par 4’s, four Par 5’s and four superb Par 3’s, each with its own distinctive character. Members and visitors alike have praised the work of course architect Patrick Merrigan and the course’s tree-lined fairways, undulating terrain and varied greens provide an exciting challenge to golfers of all levels. Over 150 acres of superbly maintained parkland provide the backdrop to a golf course of the very highest quality. Manicured sand-based greens offer perfect putting surfaces and the free-draining soil of the Beechwood hills provides firm and fast fairways which remain playable all year round. The course offers spectacular views over the wonderful Tipperary countryside stretching from the Silvermines and Arra mountains across to Lough Derg. Superbly designed holes which feature scenic water hazards and an array of cleverly positioned bunkers offer a demanding but fair challenge to competitive and social players alike. 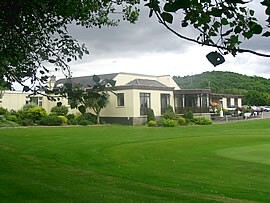 After leaving the eighteenth, golfers can enjoy the warm hospitality of the clubhouse, bar and restaurant.